50 Mt Carmel Rd, Asheville NC 28806. From Asheville, head south on US-19/US-23. 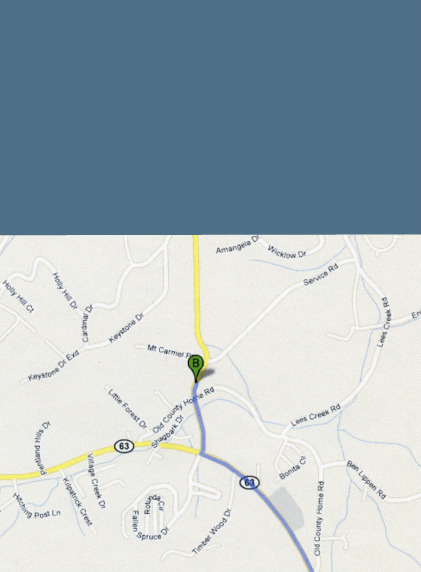 Turn right onto NC 63 West/New Leicester Hwy (at the Ingles store on your right). Turn right again just past the 2nd Ingles store onto Mt Carmel Rd. Go through the intersection with Old Country Home Rd - the church will be on the hill on your left just past the intersection.